Custard apple tree growing – tree of the genus Annona also known as Annona reticulate or Red Annona. 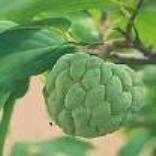 Custard apple tree evergreen perennial but in a cold weather become deciduous, can grow in tropics mediterranean or subtropical climate and growing in hardiness zone 10+. Flowers green-yellowish, separate times on the same tree female and male flower, the flowers are protogyny at first female and after becomes a male flower. 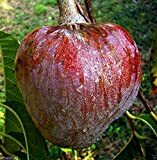 Jamaican Custard Apple Tree (10 Seeds) AKA bullock's Heart,Jamaican Apple ! Size of the Annona reticulata plant? Small green-yellowish flower, separate times on the same tree female and male flower, the flowers are protogyny at first female and after becomes a male flower. 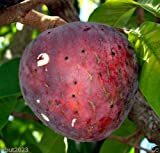 What can be done with big quantities of Custard apple fruit?